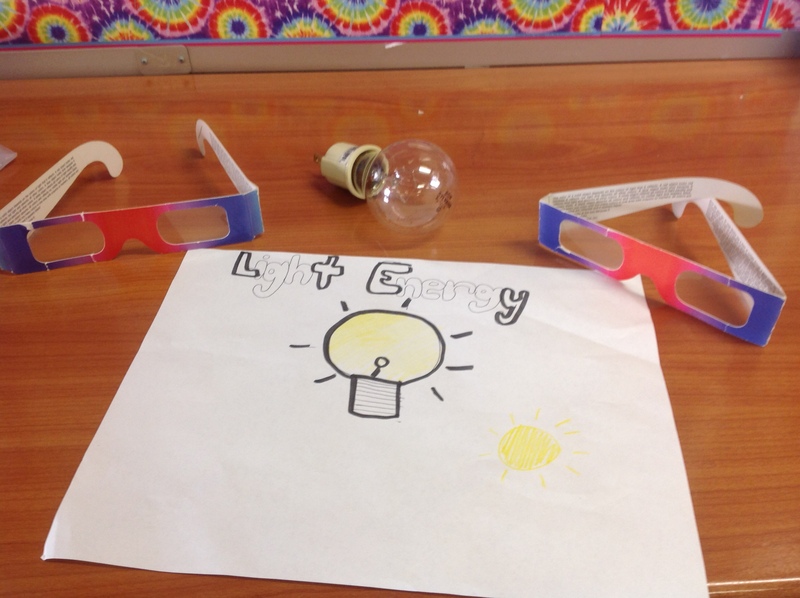 Reinventing School Libraries – Makerspace! Makerspaces are a natural evolution for libraries. We need to make the resources available to our students that will help guide their inquiry and exploration. Who can predict what our students will create when given the space and tools necessary? What is a makerspace? Essentially, a makerspace is a physical area, often in a library, that is set aside and laden with diverse materials for student exploration. Students are encouraged to create, design, imagine and problem solve as they choose. Makerspaces provide a natural environment where creativity and critical thinking happen naturally. 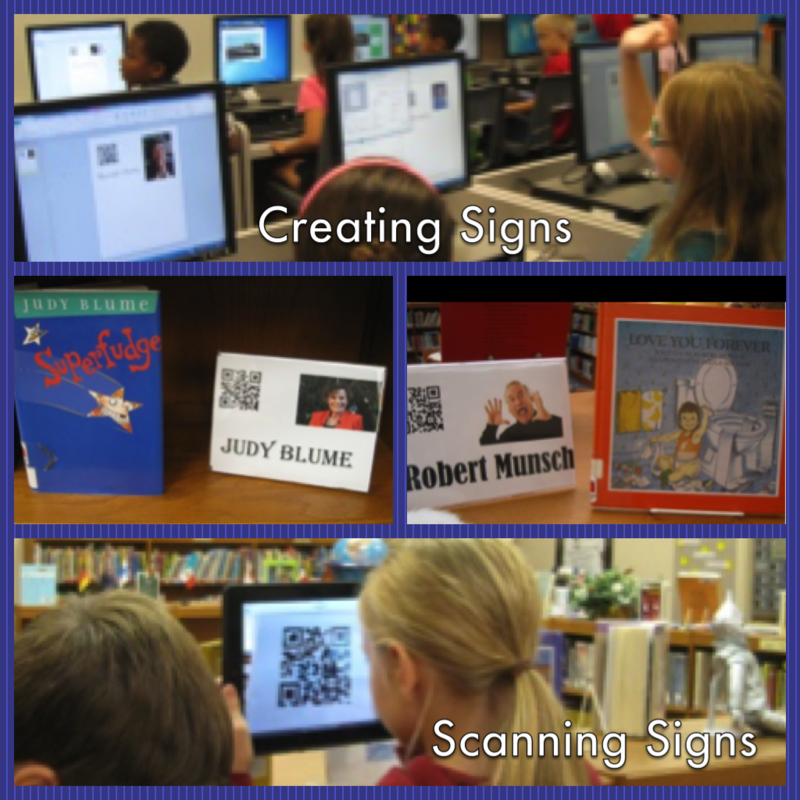 Many HSE school media centers are developing makerspaces. 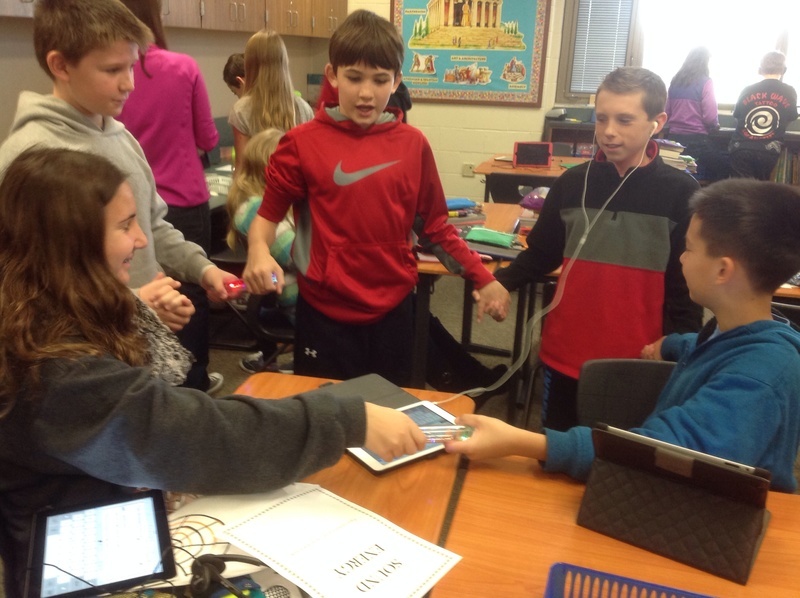 At Fishers Elementary, media specialist Cristie Ondrejack has designed a makerspace around three verbs: Create. Solve. Design. In the Create area, students use a variety of art supplies to create whatever they can imagine. Solve challenges students to use their critical thinking skills to tackle puzzles, riddles, and logic problems. Perseverance is a goal here! 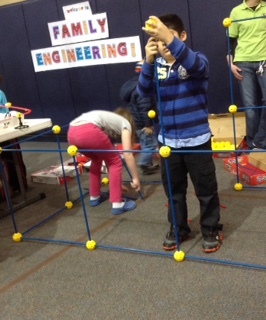 Design encourages students to explore with Legos, K’Nex, Magnetix, Marble Maze and other building supplies. Students collaborate as they envision, plan and build. Later in the year, HSE21 Shorts will bring you stories of makerspaces at other building levels in the district. Who knows what future inventions or discoveries will be found to have originated in an HSE makerspace! 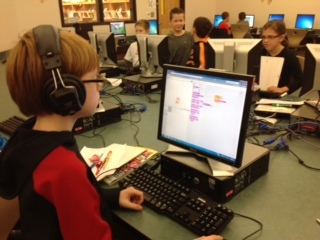 HSE21 Shorts couldn’t resist sharing this student-produced Hour Of Code recap that came in today! Thanks to directors Logan, Justin, Ian, and Micah (of Sand Creek Intermediate School) for a helping us to understand the Hour of Code from a sixth-grader’s perspective. Enjoy! As we close on the 2014 Hour of Code week in HSE Schools, take a look at this two-minute wrap-up highlighting the impact of the experience in just one school! Thanks to fourth grade teacher Courtney Gibson for creating and sharing this recap. Click on any of the images below to be directed to the video. Each spring, the Fishers High School performing arts department showcases students in a unique way. An event, known as the Performing Arts (PA) Festival, is the culmination of a year’s focus around a common theme. During the year, all teachers in the performing arts department–band, orchestra, choir, drama, speech, and tech theater–engage their students in curriculum-driven ways to foster learning around the chosen theme. Throughout the year, learning deepens, connections are made, and collaboration grows, culminating in a stellar event that conveys a deeply understood and heart-felt message to eager audiences. Past themes include War & Peace, Love, The Oscars, and The Magic of Disney. 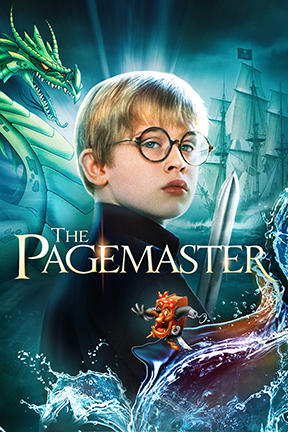 This year’s PA Festival will be based on the film The Pagemaster, a story of transformation from timidity to courage. Throughout this fall semester, performing arts students have been reading, researching, and collaborating. They’ve begun the artistic design process. In the spring, they’ll continue design, and begin rehearsals. In May, the Fishers community will be treated to the product of a year’s work of nearly five hundred students and faculty. HSE21 Shorts will revisit preparations for the PA Festival as the event approaches. Stay tuned! 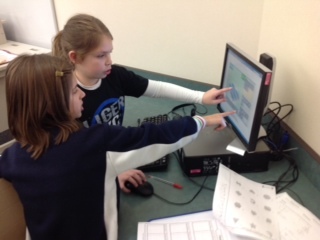 The Pagemaster Project exemplifies 21st century learning. In the example below (from the vantage point of the FHS Bands), notice that student-choice, creativity, collaboration, critical thinking, creation and presentation are all integral parts of the assignment. This fall, these factors have been at work within performing arts sectors. In the spring, these elements will still be present, as collaboration happens between the areas. HSE21 Shorts is excited to see how these groups, working together, will connect the dots and build the Festival! 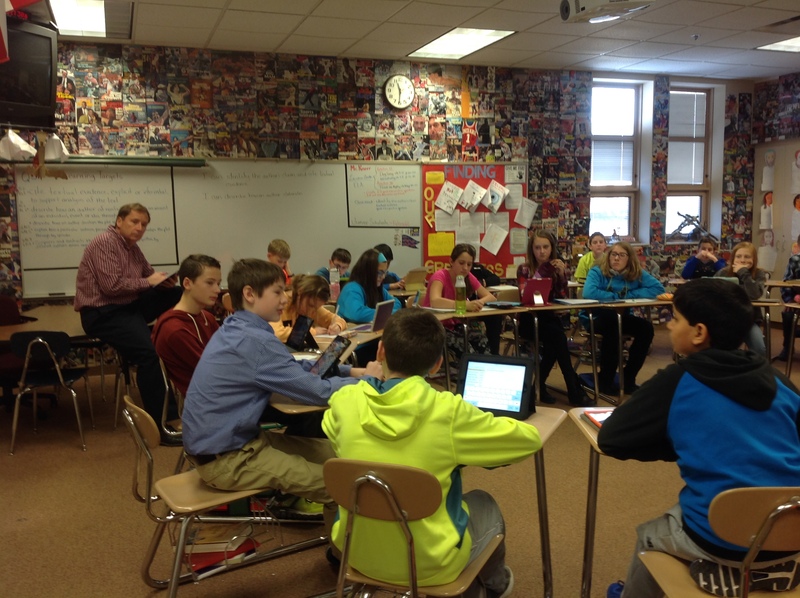 HSE Freshman Campus English teacher Jen Torres’ class has focused on heroes this fall. Throughout the semester, Torres’ students read books of their choice about persons who could be classified as heroes. The freshmen also researched in depth to learn more about the lives of their heroes, in order to answer the driving question, What makes a hero? Are heroes born? Did something in a hero’s childhood build heroic character? Or…do heroes just make wise choices at pivotal times? 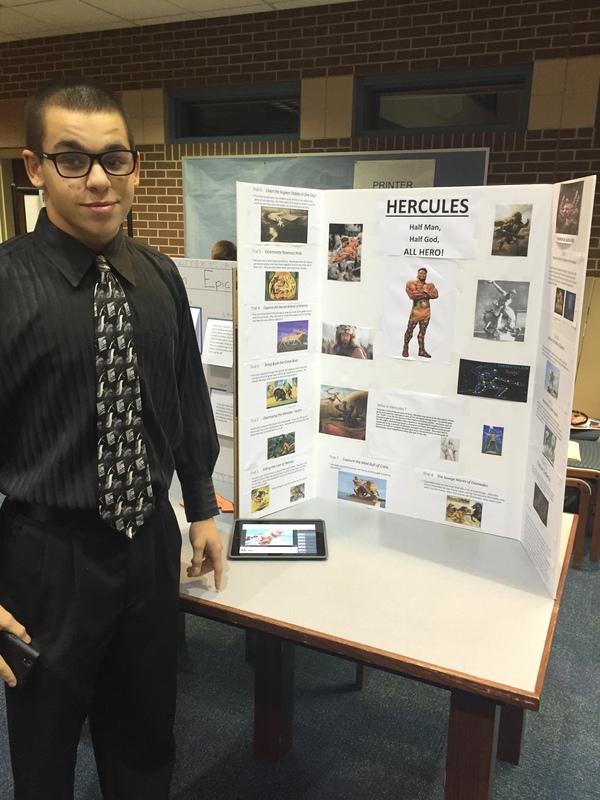 This we ek, the ninth graders’ hero study culminated with a Hero Fair in the school media center. 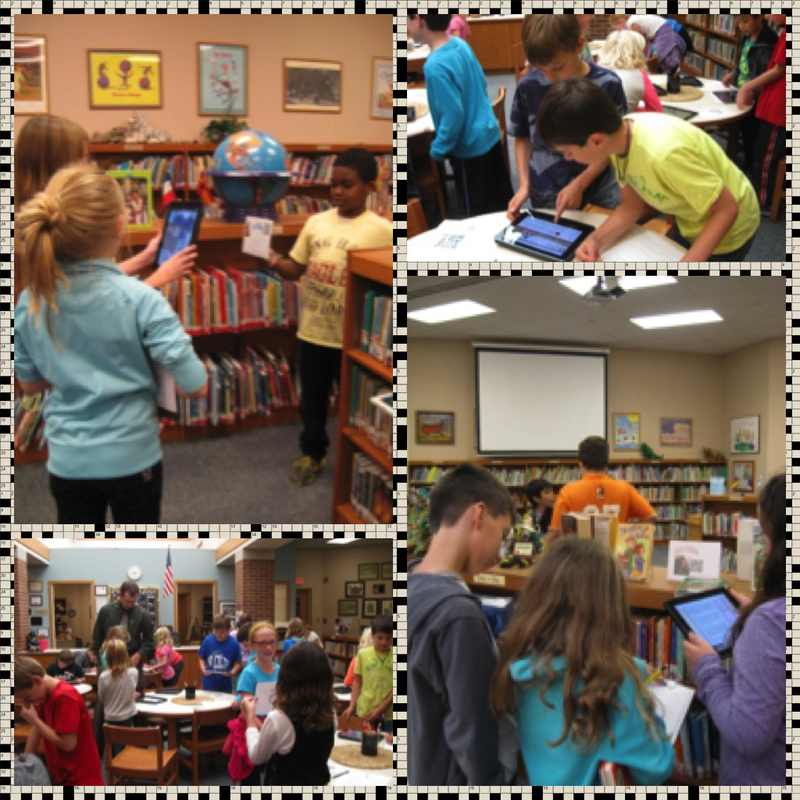 Students used a variety of presentation tools and methods to share their learning with peers, school administrators, and other teachers. Many discoveries about heroes were shared; among others, students realized that heroes can definitely reside close to home! Local war veteran Josh Bleill‘s response to adversity definitely revealed his “hero-ness’, shared Kennedy, a student, in her presentation. 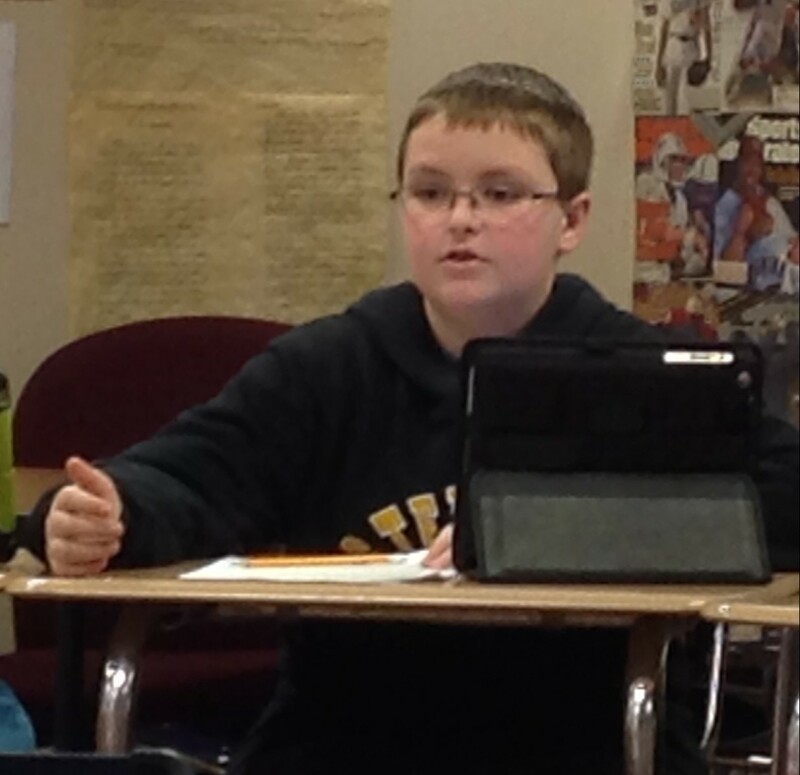 Kennedy read Josh Bleill’s autobiography, One Step at a Time: A Young Marine’s Story of Courage, Hope and a New Life in the NFL and shared his story of triumph over adversity. The theme of ‘heroes’ clearly had an impact on Ms. Torres’ students. 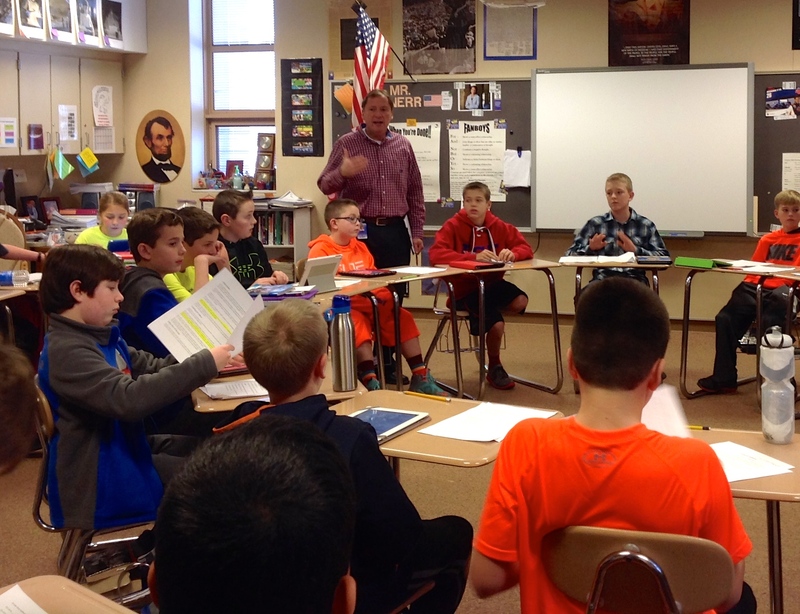 Through reading, writing, speaking, listening, designing, and pondering, the ninth graders all took away a deeper understanding of what heroism really means. 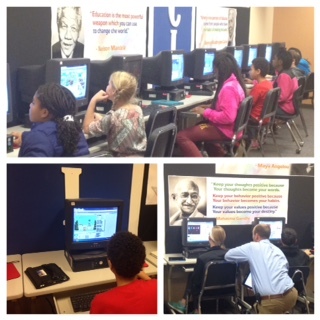 Sixth Grade Science…for a New Generation! 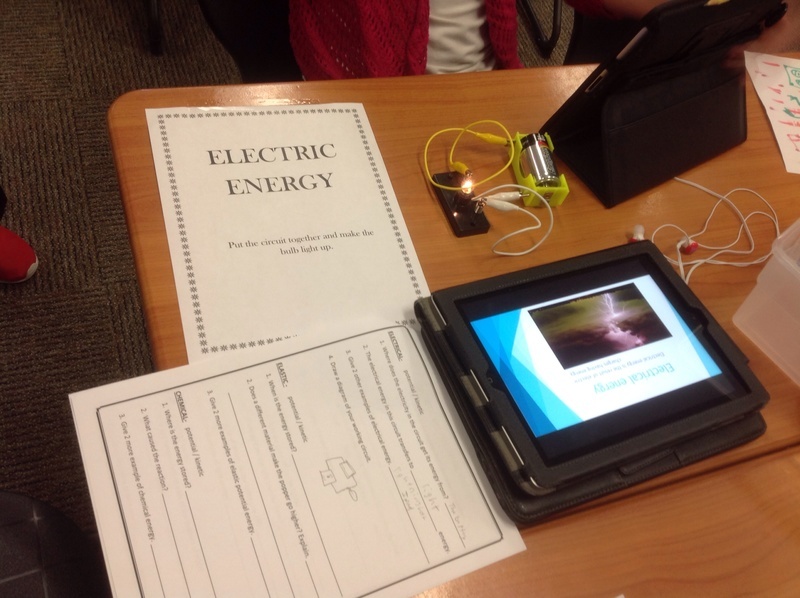 Indiana’s sixth grade science standards state that students will “understand that there are different forms of energy with unique characteristics.” In generations past, a lesson on this topic might have included reading a textbook section and filling in a worksheet, not a method conducive to deep learning. Today’s HSE21 Short, from Stephanie Alig’s classroom at Riverside Intermediate, provides a compelling example of 21st century learning, where student inquiry and collaboration, powered-up by 21st century digital learning tools, foster enduring understandings of important scientific concepts. If you are over thirty, does that sound like YOUR sixth grade science instruction? Young children are naturals when it comes to creation and design. Catapults, rockets, roller coasters…just mention these words, and creative constructions are not far behind! 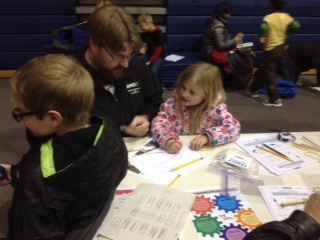 Sand Creek Elementary recently provided a wonderful opportunity for budding engineers and designers to explore science, technology, engineering, and mathematics (STEM). 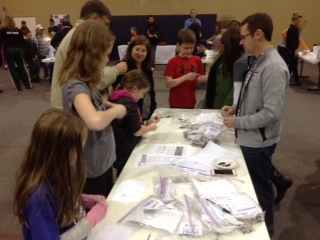 The event, known as Family Engineering Night, brought together over two-hundred-and-fifty members of the SCE community. 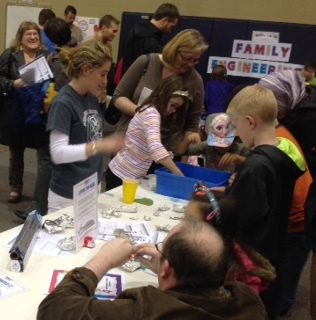 Family Engineering Night came about through the vision of SCE third-grade teacher Holly Miller, who was awarded a grant for the project from the Hamilton Southeastern Schools Foundation. 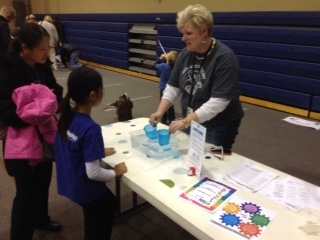 Attendees of the event witnessed a packed gymnasium where students and their families visited their choice of thirty hands-on engineering stations. 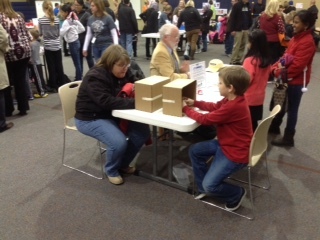 Side-by-side, children and adults practiced creative design, critical thinking, and problem-solving. What type of boat will hold the most pennies? Can we design a roller coaster that will keep a marble moving for 5 seconds? Which materials make the most powerful catapult? Inquiry, design, and family interaction were highlights of the smashingly-successful evening…the photos shown here tell the story best.